If you’re still trying to plan your next perfect summer getaway, then Santa Fe is the destination for you. It truly is a wonderful destination, with activities and attractions diverse enough to suit every style. Getway to Santa Fe, and you’ll experience your days filled with delicious food, fascinating museums, exquisite shopping, a little music, relaxation, and even some exercise and fresh air. Santa Fe’s nickname is “The City Different”, and that truly is what you’ll find here: An experience so different, so unique, and so magical, that you’ll leave wondering when your next trip back will be. Get your summer getaway started off on the right foot, and book your room at our luxurious Santa Fe Bed and Breakfast Inn today. 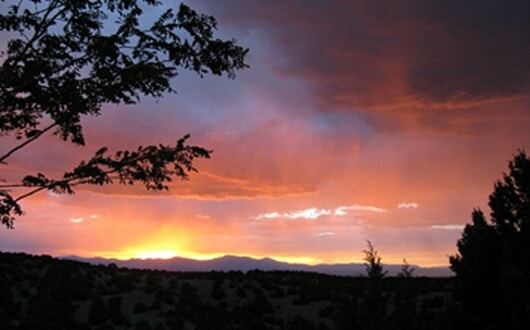 When it comes to enjoying your summer getaway to Santa Fe, there’s no way you can go wrong. Depending on how much time you have here, you may not be able to do and see all of wonderful Santa Fe, but you can certainly get a taste of this vibrant city that will keep you coming back for decades to come. Speaking of tastes, one of the most popular things to do in Santa Fe is eat. Santa Fe is a foodie paradise, ranking as one of the top food destinations in the country. The flavors here are unique, innovative, and simply mouth watering. While you won’t be able to try all of the spectacular restaurants in Santa Fe, you can start with these five favorites: Geronimo, La Boca, The Santa Fe Bite, Restaurant Martín, and Terra. Whatever you do, don’t leave Santa Fe without first trying a green chile cheeseburger. When you’re not eating in Santa Fe, we recommend spending time on Canyon Road browsing through the beautiful art galleries, shopping the independent boutiques and shops in downtown Santa Fe or the hip and trendy Railyard District, or contemplating the latest exhibits at popular musuems. Of the museums, those not to be missed are the Georgia O’Keeffe Museum, the New Mexico Museum of Art, and the Museum of Contemporary Native Arts. The summer months in Santa Fe bring an exciting array of festivals to enjoy and markets to shop, and the abundant sunshine is always there beckoning adventuring souls into the hills beyond town. When you’ve shopped, eaten, and browsed so much you think you might drop, the exquisite spas of Santa Fe are there waiting to rejuevenate you. For a true Southwest experience, spend some time at Ojo Caliente Mineral Springs and Spa. 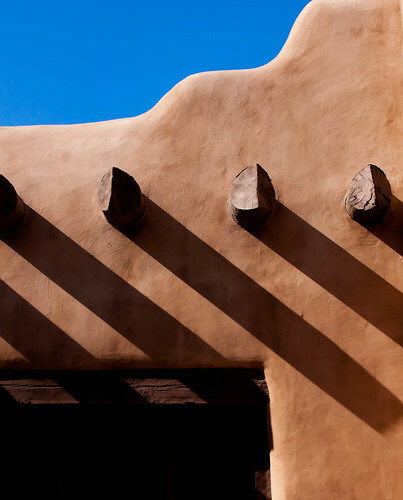 No matter how you choose to spend your time in Santa Fe, we know you’ll enjoy a summer getaway that you won’t soon forget. The waiting is over. Book your room at our Bed and Breakfast today.